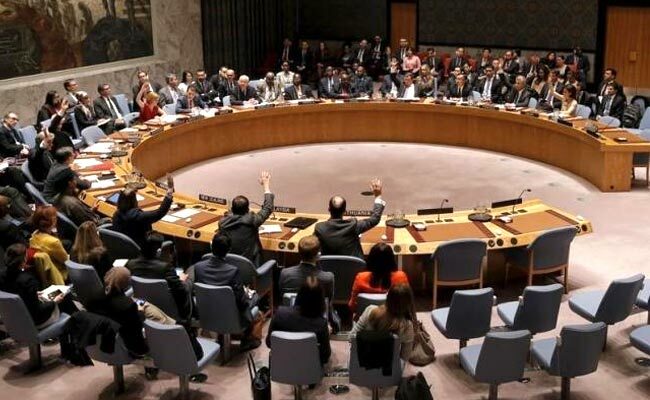 The US supported India's bid for a permanent seat in a reformed UN Security Council and in other multilateral institutions such as the Nuclear Suppliers Group. The Trump administration has reiterated its support for India's bid for a permanent seat on a reformed UN Security Council, a senior US official said, emphasizing that the two "global partners" share a commitment to work together on global challenges like de-nuclearisation of the Korean peninsula. "We really are global partners and the meeting (between Mr Hale and Mr Gokhale) reaffirmed our shared commitment to working together on international challenges - from a de-nuclearised Korean Peninsula to a peaceful and prosperous Afghanistan," Ms Wells told reporters on Friday during a briefing on US priorities in the South and Central Asia Region. The American diplomat said the US reiterates its support for India's role in a reformed UN Security Council. The New York meeting was a continuation of the discussion at the 2+2 meeting. "It's a conversation that really covers the map in terms of how we can work together in Afghanistan, what we are doing to promote a free and open Indo-Pacific and also in particular, how we are both very supportive of the democratic developments that we see transpiring in the Maldives," she said. Prime Minister Narendra Modi has called Maldives' President-elect Ibrahim Mohamed Solih and congratulated him. The US too congratulated the people of Maldives, saying they had peacefully raised their voices to determine the future of their country. During PM Modi's visit to Washington in June last year, Donald Trump supported India's bid for a permanent seat in a reformed UN Security Council and in other multilateral institutions such as the Nuclear Suppliers Group. "As global non-proliferation partners, the United States expressed strong support for India's early membership in the Nuclear Suppliers Group" a joint statement issued after the meeting between PM Modi and Donald Trump had said.